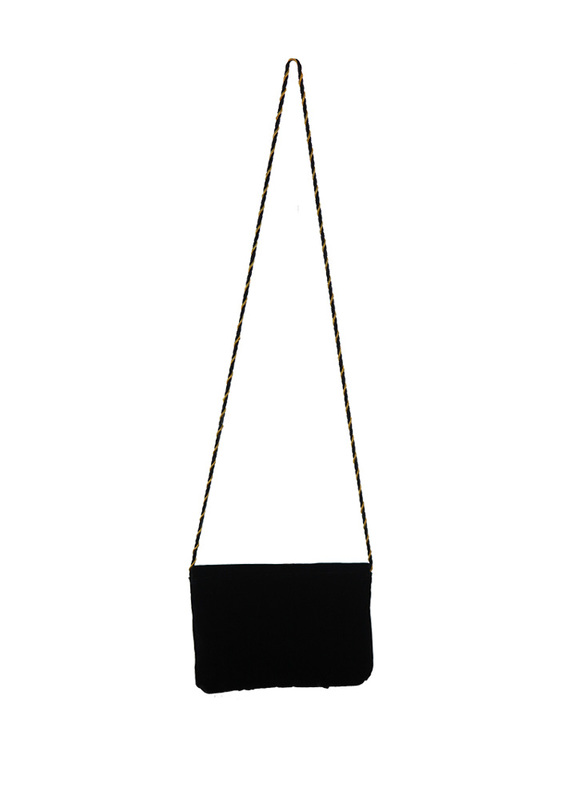 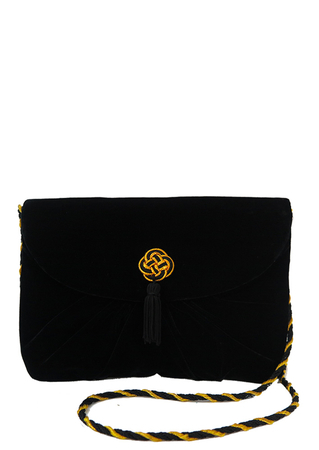 Black velvet cross body bag with a soft pleated design and a gold metallic and black cord twist shoulder strap – the perfect party piece! The front flap has a striking knot and tassel decoration in matching gold and back, with a concealed magnetic fastening underneath. 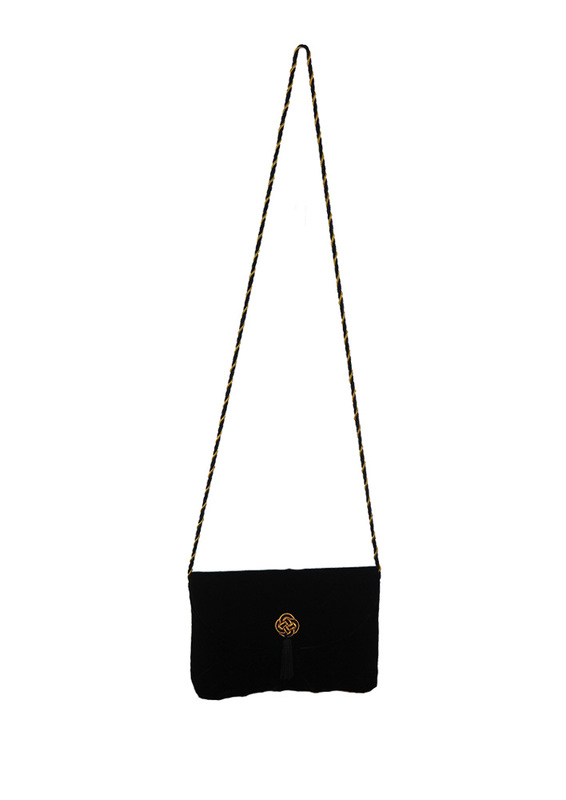 The inside of the bag is lined and has a single card-sized lining pocket .